When temperature exceeds your minimum or maximum setting entire display flashes red. Simply hold the IR gun, press the trigger and aim the laser guide at the target. 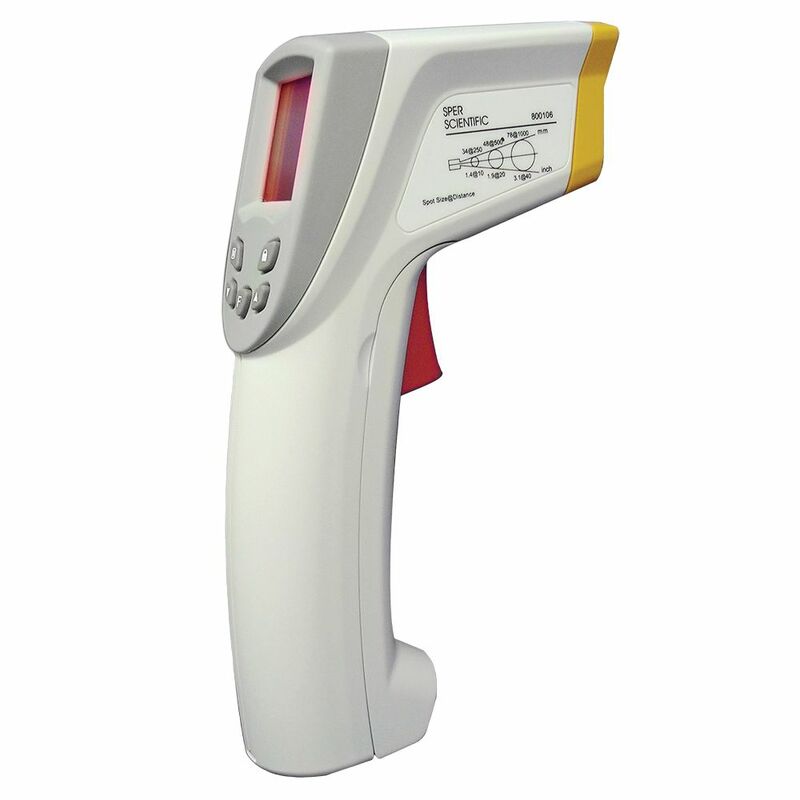 Results immediately appear in ºC or ºF on the backlit LCD and are automatically held for 6 seconds after the trigger is released. Special features include: Adjustable audible and visible min/max alarms. If the temperature exceeds your min/max alarm settings the entire display flashes red. Emissivity is automatically adjusted to any thermocouple probe (sold separately) which can also be used for standard thermocouple temperature measurements. Other advanced features include dual display showing current and peak min/max/average temperatures, 10 memories and auto power off. Rugged and ergonomically designed the thermometer comes with a built in tripod mount, 9V battery and soft holster with belt loop.